Up north, the winter snows are finally thawing, while temperatures are rising across the subcontinent. India in April is poised on the edge of a new season, and travelers visiting the country in the spring will have new opportunities to explore its most picturesque corners, from the Himalayas in the north to the tropical backwaters down south. Long dreamt of exploring the rugged landscape of the Himalayan mountains? After months of winter, visitors start flocking back to the region in April, when it becomes accessible once more. Those after both a higher intensity trek as well as a fair bit of culture – and luxury on the side – should visit Darjeeling in West Bengal. Overlooked by breathtaking Kanchenjunga (don’t try climbing this one unless you’re of serious mountaineering stock! 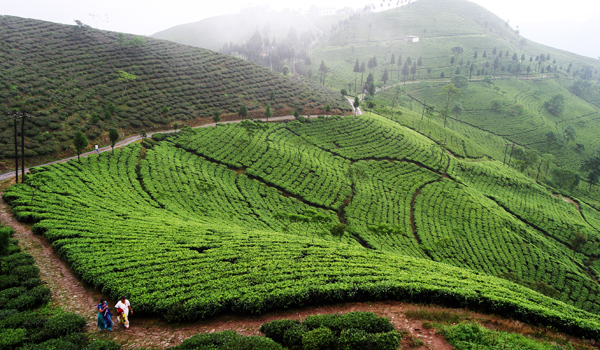 ), the hill station will offer pleasant temperatures and clear views in April. When your legs tire, take a trip on the Darjeeling Himalayan Railway – or better yet, settle in with a mug of the region’s famous tea. Visitors will also find the state of West Bengal uniquely festive at this time of year, as mid-April historically marks the Bengali New Year, or Pohela Boishakh. Journey down to Kolkata for the biggest celebrations of the event, which will be held on 14th April, 2015. 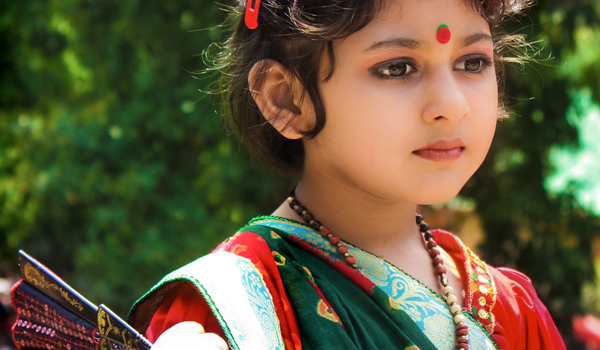 Traditional festivities include everything from vibrant street processions to fairs and lively performances. While Darjeeling will be comparatively balmy compared to the snowy months prior, travelers visiting India in April who are after some serious tropical heat would do well to head south, where the mercury will be steadily climbing throughout the month. Before the monsoon rains sweep in later in the spring and summer, temperatures in Kerala will rise into the 30s – ideal for those who are after a strong dose of sun after many cloudy winter months. Given the heat, a languorous itinerary is the best bet. 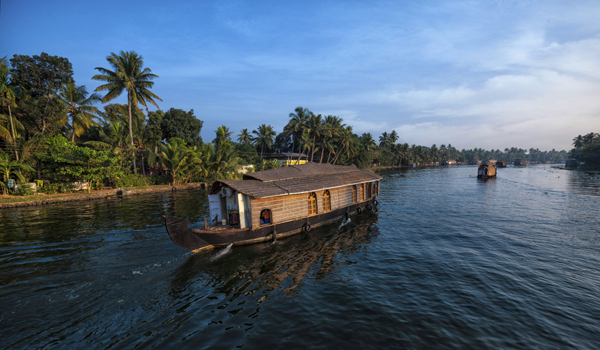 Kerala’s many Ayurvedic retreats cater to guests after long and relaxing stays spent taking yoga classes, meditating outdoors, and indulging in freshly cooked, local fare; the chance to experience the sensory pleasures of the region’s idyllic backwaters, coconut groves, and fragrant coffee and spice plantations is also not to be missed. 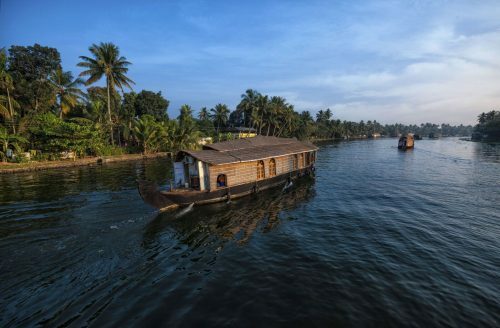 And if you’re after an even slower pace of life, sign on for a multi-day houseboat tour of the backwaters, which will have you lazily trawling along the Keralan waterways. Another must-visit destination in South India in April? Kerala’s neighboring state of Tamil Nadu. Temperatures here will be equally warm, but April is also the month when the Tamil New Year, or Puthandu, is celebrated. Like Bengal New Year, the vacation will also be held on 14th April, 2015. 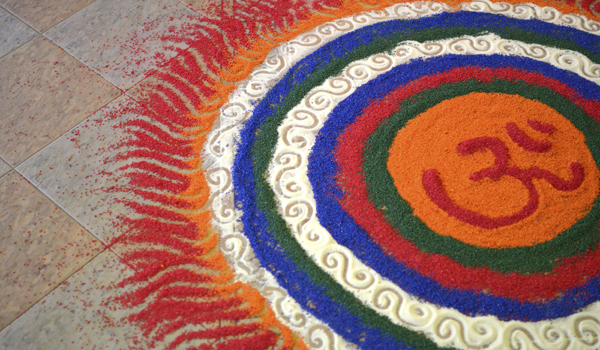 Traditionally, families celebrate by decorating their homes with kolams (intricate floor patterns), as well as trays of fruit and flowers. 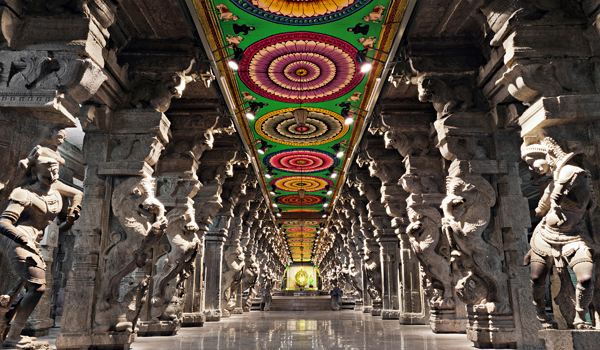 Large, festive celebrations are also held concurrently across the state, with the stunning Meenakshi Temple in Madurai the site of one of the biggest. Prepare to join in the celebrations, then, if you’re visiting India in April. Head north for slightly colder climes or south for some heat – and be ready to dive into the local festivities.